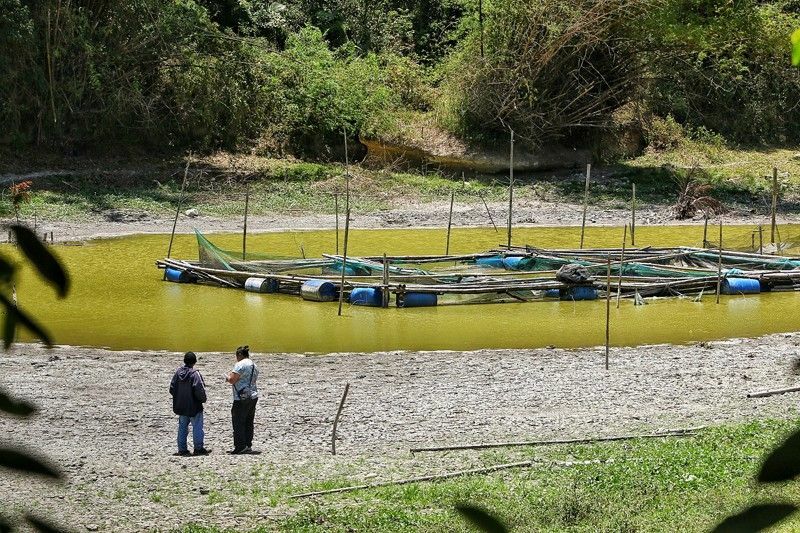 IT HAS only been a month since the weak El Niño started, but damage to crops, fishery and livelihood in 27 local government units (LGUs) in Cebu Province has already reached an estimated P100 million. As this developed, the Provincial Board (PB) on Monday afternoon, March 25, approved en masse a resolution declaring the province under a state of calamity. The measure was filed by PB Member Thadeo Jovito Ouano, chairman of the committee on environmental conservation and natural resources. Placing the province under a state of calamity will allow the Capitol and LGUs under its jurisdiction to use their quick response funds based on the needs and assessments of their communities. The Provincial Disaster Risk Reduction and Management Office (PDRRMO) has around P59 million for this purpose. A rapid assessment and survey conducted last week by a Capitol technical working group revealed that 27 LGUs in the province had suffered damage due to the dry spell. The team was composed of members of the PDRRMO, Provincial Environment and Natural Resources Office, Provincial Veterinary Office and Provincial Agriculture Office. Affected areas include the cities of Carcar, Danao, Mandaue and Toledo and the towns of Asturias, Alcantara, Aloguinsan, Alcoy, Argao, Balamban, Bantayan, Boljoon, Carmen, Compostela, Consolacion, Daanbantayan, Dalaguete, Dumanjug, Madridejos, Medellin, Minglanilla, San Remigio, Santa Fe, Sibonga, Sogod, Tabuelan and Tuburan. According to PDRRMO Chief Baltazar Tribunalo, they need to get the Commission on Elections’ permission to use the calamity fund since there is an election ban on the release of public funds as the May 13 midterm polls draw near. “Were strategizing for short-term and long-term intervention,” Tribunalo added. One of these measures is anticipatory deprivation, wherein farmers stop planting crops to avoid further damage as the dry spell is expected to continue until May. A potential program for farmers, Tribunalo said, is a “cash-for-work” program or a “food-for-work” program, wherein interested farmers may receive cash or food in exchange for their services in helping the Capitol rehabilitate damaged farmlands. Another intervention the Capitol is looking into is implementing a cash-for-work program for fisherfolk, wherein they are paid to catch crown-of-thorns seastar, a type of coral-eating starfish that is reportedly wreaking havoc in the seas off Cordova and Moalboal. “The (PDRRMO calamity) fund cannot cater to everyone, cannot cater to all areas. That is why we’re prioritizing them, then we will conduct another validation to see which communities are experiencing the biggest impact of the El Niño. Many LGUs have been waiting because they can’t just declare a state of calamity iIf you don’t have an analytic or scientific approach. That’s why we’ve been carefully looking at the monthly forecast and impact of the dry spell here in Cebu. This is also a good collaboration of all agencies,” Tribunalo said in Cebuano. He also clarified that they could not yet estimate the cost of damage. “Now that you’re anticipating damage, there are some you can’t measure right after the evaluation process. In terms of evaluation, damage estimates will reach more or less P100 million if you include irrigation and fishing. We can’t afford to wait for the actual assessment,” he said. Emily Lagramas, PDRRMO research and planning division head, said the El Niño in 2015 and 2016 reported around P220 million damage to crops alone. “That was based on the actual assessment of the agriculture (office), not a rapid assessment like the one we did last week. Some have yet to submit their evaluations. For example, crops have actual computation in terms of hectares and cash input. As of now, we’re conducting rapid assessment, so nothing has been determined in the evaluation. This is just the initial stage (of the El Niño),” she said. In Cebu City, 133 farmers in the mountain barangays have been affected by the dry spells. According to them, the weather phenomenon has destroyed P4.6 million of agricultural products. Cebu City Agriculture Department chief Apple Tribunalo said vegetables, sweet corns and flowers were affected by the lack of water supply. Last March 16, the City Government provided farm equipment and vitamins to farmers to protect their farm and livestock from the extreme heat. Councilor Dave Tumulak, who monitored the situation in the mountain barangays, said the tools and vitamins in the north and south districts were stocked in Barangay Taptap and Barangay Bonbon, respectively. Mountain barangays can be cold at night but they suffer from extreme heat during the dave, he said. But based on the agricultural department’s assessment on the El Niño’s impact on the crops, it’s not enough for the City Government to declare a state of calamity, although that decision is up to the Cebu City Disaster Risk Reduction Management Office.